Daz 3D is pleased to announce Hexagon BETA - version 2.5.2.137! Below are highlights that pertain to the current Public Build of Hexagon. Our plans for Hexagon in 2018 (and the future) are for it to be a key and growing component of our free software offering. Save as Carrara file still not working! any Beta testing needed on the Mac side? If bug fixes aren't addressed on the Mac yet, I can wait for general release? Carrara has not been the focus of this update, 64-bit support has. Way cool! Hexagon is being worked on! Also a major update to Dim! What next? Bryce? That wasn't listed as an issue that had been addressed in this build (which doesn't mean it won't be, in future). I don't see a 64-bit installer. Am I missing something? Public Build is what you should have checked in your download filter for DIM. The 64 bit version installed via DIM but the 64bit has no Hexagon executable. The 32 bit does have the exe file and does start normally. EDIT: Uninstalled and re-installed. Fixed now. Not seeing it in DiM either and have all the required boxes ticked that should make it show up.. Strange even though I own Hexagon, I had to go to the beta store page and put it into my cart and free pruchase it, to make it show up in DiM.. Unfortunately, the 64 bit version crashes DAZ Studio if I use the Hexagon bridge. I've attempted it several times - crashes every time. Did you do as the popup suggests? Nope but I will when I try it again. Working OK here, both ways. A bit more testing and it turns out to be a 3rd. Party Anatomical Elements geograft causing the crash. It does not crash when a plain-vanilla G3F is sent over the bridge. I don't think I will need to modify figures with that geograft in place so it might not be a problem. One thing that is a problem though - some of the character skins don't display in the Hex viewport. 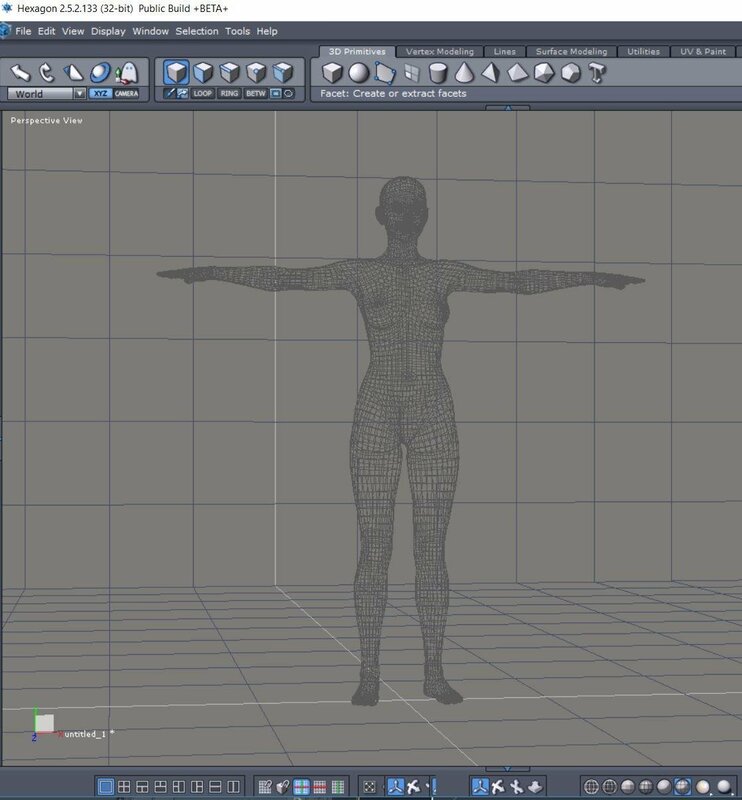 The basic Jeane is fine but most of those I've tried, including several using the G3F UV and also Bethany 7 and Mei Lin 7, will only display in wireframe - no solid options (which just result in the figure disappearing if selected). Just to confirm that texture problem: I switched from the 64 but version to the 32 bit and tried again ... this is the Victoria 7 skin on G3F (still no solid option). Also, the Hexagon bridge just stops working for no apparent reason. It will work several times in a row and then stop - requiring stopping and starting DAZ Studio. Yay 64bit. :D Thank you. 1. is there any way to make Studio send to the public beta Hexagon on the mac? - actually, the solid colours are not actually missing, but the transparency is set to 1. If you edit that down to a sensible value, back in business. As far as I am aware, I am using the latest General Relaease of DAZ Studio (4.10.0.123) so I guess there'll be a wait until 4.11 is released. OK update on the 32b Mac version - some good, some not so good ..
2. 4.11.0.101 bridge / transparency fix; in the meantime a work-around is simply to set the transparency to whatever you want in Hexagon once the item is imported from Studio (on the Mac it's a one-time change, remembered in back/forward moves of the object). 4. So I used the beta to make a "little black dress" (from a cylinder) as attached, all OK including dForce modifier. 5. Hexagon 2.5 crashes quite often during exit .. but the application puts up the standard Crashreporter output (which sends the crash report to Apple) .. So I kept a copy - is there somewhere you'd like me to send it? (or should I raise a "normal" bug report?). is that an indication that it might be possible (at some stage) for 3rd parties to author plugins for Hexagon? ... 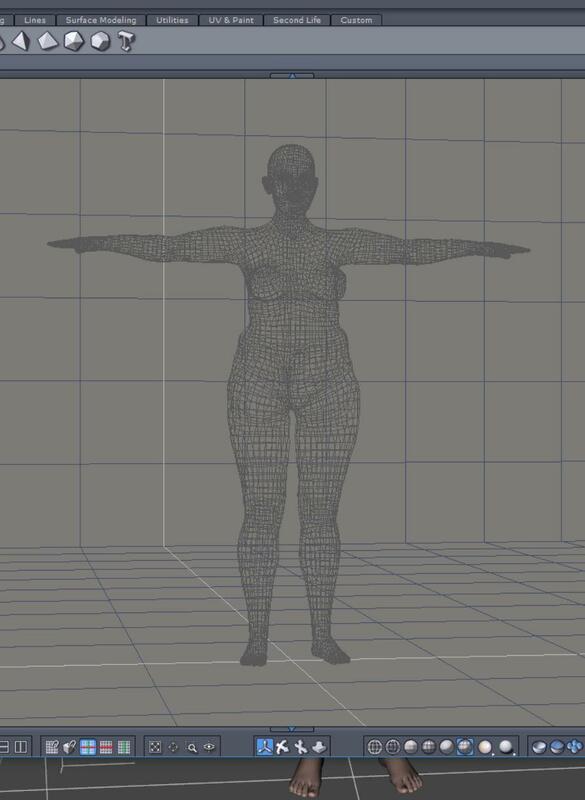 I, for one, would be interested in authoring plugins to sanitise meshes for dForce (in some cases, I have had to take [other people's] meshes out to blender etc. to fix) .. maybe this is subject for some different thread/forum. 7. Displacement tool "cursor" issue. Try disabling "local redraw" in Preference Editor / 3D Display / Advanced. It'sd a bit of tidying up, so that the Mac version works as the Windows version does - it also means that Mac users could now disable a plug-in to aid in trouble-shooting. Open a Technical Support ticket and attach the crash report.